One of the exercises we have been developing with the laser cutter is the design of a stand generated from elements attached to each other by means of press fit system. 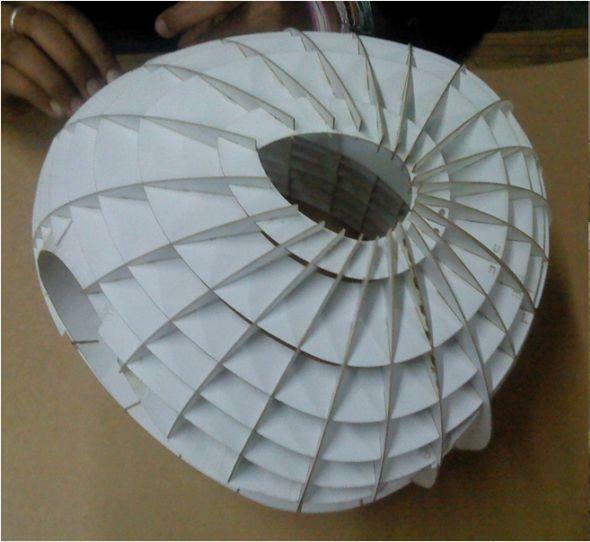 Before sending your file, we started testing with the material we have chosen. Usually in the market sell the material with a thickness, which is not safe. Therefore we must always check the thickness of the material with the vernier. 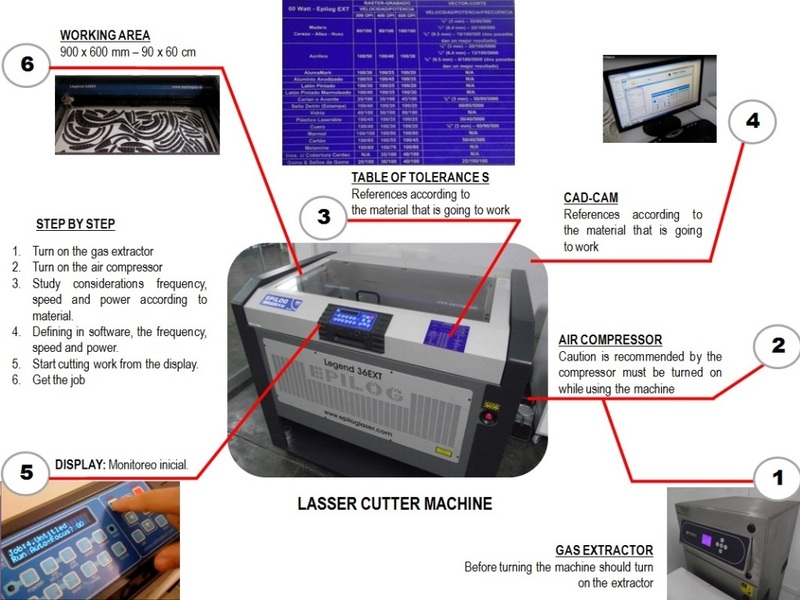 Having the exact measure we can study the speed, power and frequency for machining, in order to differentiate the cut of the raster. The configuration of print settings is simple. So before following the instructions, keep in mind: what do we do? what material we use? The hardest part of the machining process was to generate a continuous curve with a very thin thickness. Therefore, had to cut into two parts. 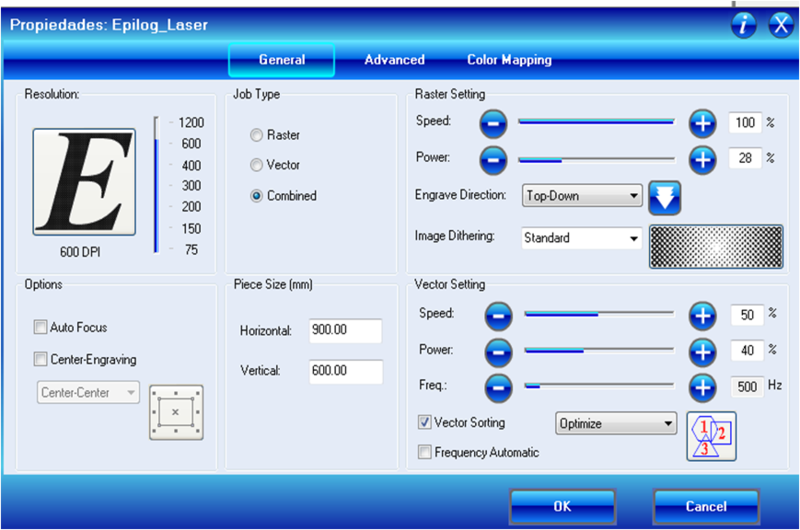 • Cad: Once developed parts, verify that there is no duplication of lines, as the laser will recognize and repeat the process. 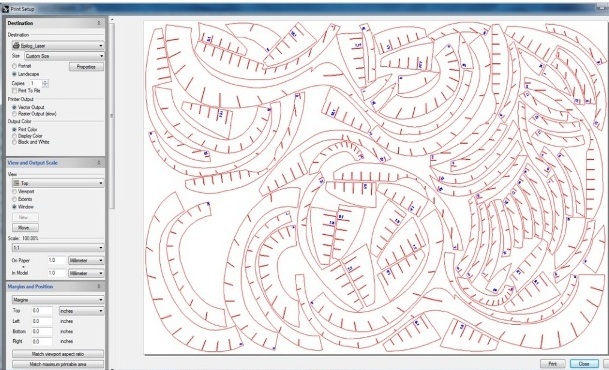 •When you go to work cutting and raster, it is recommended to work in layers, to differentiate each process. 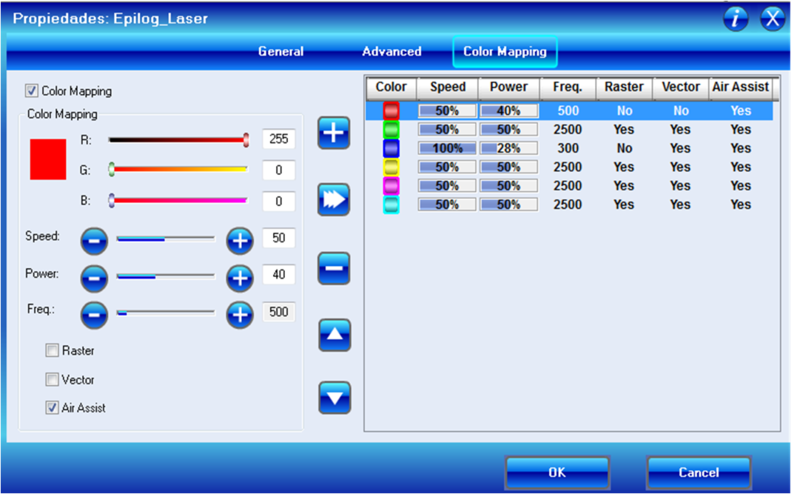 • Check laser power to avoid burning the material.